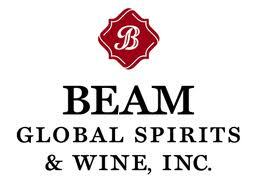 Beam Inc (BEAM.N) has raised prices on some of its alcoholic drinks this year as the U.S. economy shows signs of improving and the company could have more price increases as opportunities arise, according to a top executive. If its alcoholic drinks this year as the U.S. economy shows signs of improving and the company could have more price increases as opportunities arise, according to a top executive. There could “possibly” be further price increases on the horizon, Bill Newlands, Beam’s president of North America, said on Tuesday at the Reuters Food and Agriculture Summit in Chicago. “We are watching it very closely and any chance we get to do pricing, we’re doing it. At the moment we’re doing it in targeted ways, places where we feel we have strength and where those opportunities present themselves, or whether there’s cost structures that we’d like to recoup,” Newlands said.